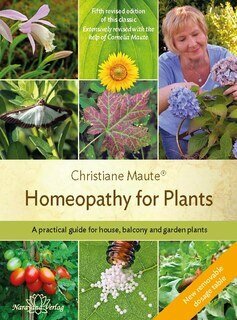 Books and products for plant homeopathy. Our Homeoplant products are soil enhancers exclusively for use on plants and soil. A practical guide for indoor, balcony and garden plants with tips on dosage, use and choice of potency for Helix tosta and many other homeopathic remedies. The book describes the homeopathic treatment of pest infestation and plant diseases and explains the importance of nutrients. Available from Narayana Publishers. The homeopathic products described in the books by Kaviraj and Maute are available from us. We have a range of 150 preparations, used in plant homepathy. The homeopathic treatment of plants is largely uncharted territory. There are only a few pioneers who have experience of this novel approach to plant protection. We are keen to encourage a lively exchange of information and will gladly publish your accounts of using this method.